Inaugurating Montegrappa’s new series, Mysticum, is a personality who embodies all that the worlds of the metaphysical and the mysterious encompass. Mysticum celebrates what occupies the spaces between the known and the unknown. Appropriately, to initiate its catalogue of notables, the first is a controversial figure encapsulating a mixture of notions from Hermetism, Alchemy, Kabbalah and Freemasonry. He is the legendary Count Cagliostro. Count Alessandro di Cagliostro (1743–1795) was the alias of the occultist Giuseppe Balsamo. An Italian adventurer and magician, he became a glamorous figure associated with the royal courts of Europe, practising for them various occult arts, including psychic healing and alchemy. His origins are shrouded in mystery. 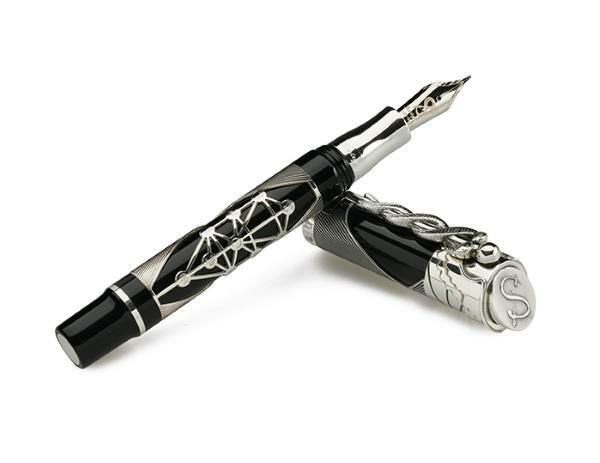 Montegrappa acknowledges the importance of Cagliostro in the history of the occult with the Count Cagliostro Limited Edition, available as fountain pen and a rollerball pen, in both black resin and sterling silver or with solid 18k gold trim. 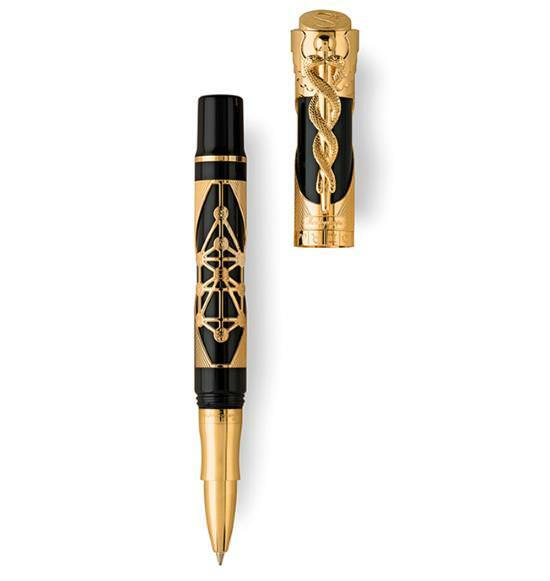 The fountain pen is piston-fed, with 18k gold nib decorated with the Cagliostro personal sigil. To convey the trappings of the occultist, Cagliostro Pen is enriched with images associated with the various mystical arts. The pen’s clip is crafted with the lost-wax casting technique representing the Caduceus and Cagliostro’s seal symbols, while the pen’s barrel and cap are a mixture of silver or gold fretwork and micro-milling. Among the patterns engraved on the pen are the “eye in the pyramid” associated with Illuminati, the square-and-compass of the Freemasons and the grid that represents the Tree of Life of the Kabbalah. Numerology defines the Kabbalah and is a critical element of the occult. So, too, are the numbers of pens issued in the series. It consists of 289 fountain pens in sterling silver and 289 rollerball pens in sterling silver, as the street number of the Masonic lodge in London, located on 289 Gerrard Street in Soho, to which the Count was first admitted. 22 fountain pens have been fashioned in solid 18K gold, representing the 22 paths of Life, as inscribed on the pen’s barrel, with 10 rollerball pens in solid 18K gold, in accordance with the 10 sephiroth on the Tree of Life. While Montegrappa ascribes no mystical powers to the Cagliostro Pens, those who write with it will undoubtedly experience its charms.